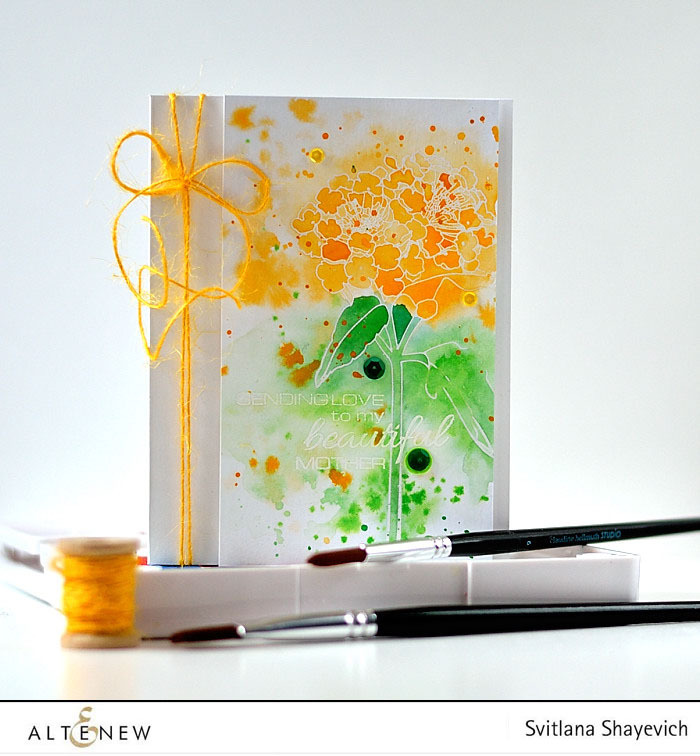 I’m over on Altenew blog today sharing two quick Mother’s Day cards. 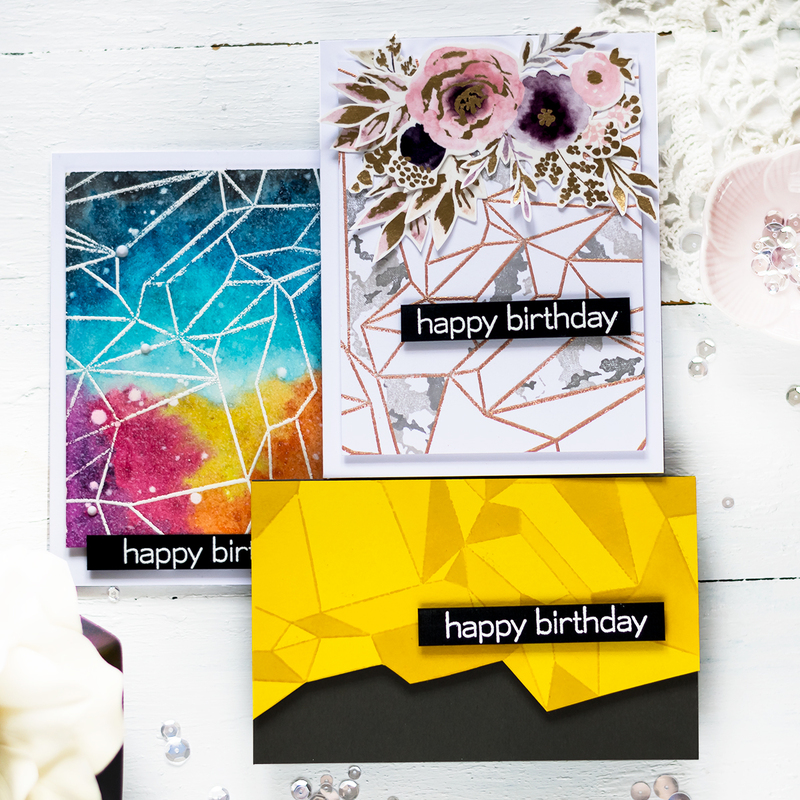 With Mother’s Day literally around the corner it’s good to have some quick designs on hand for last minute cards. 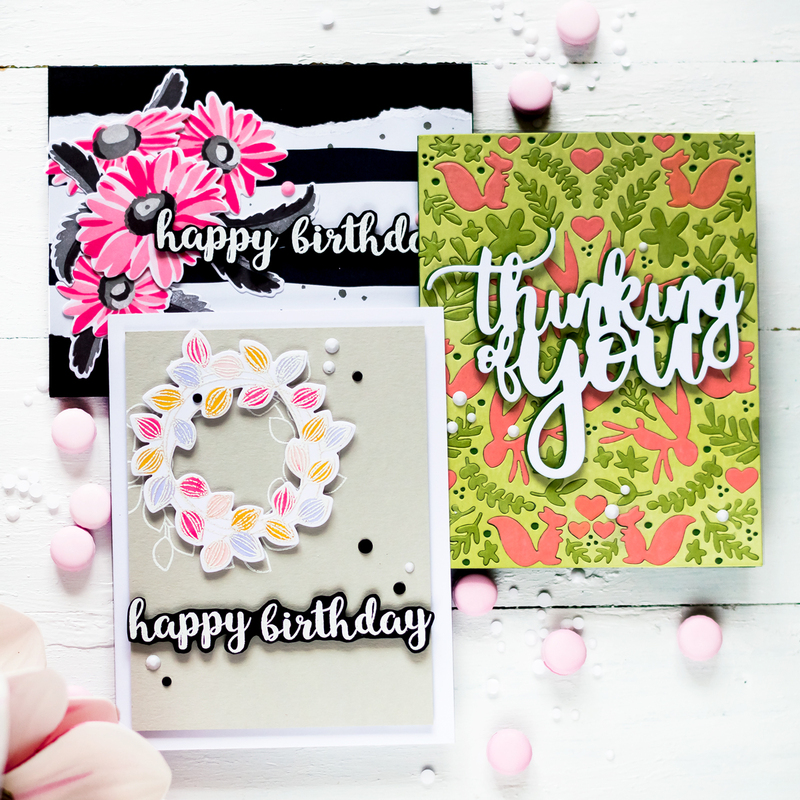 I should admit – I’m a very slow cardmaker. It takes me hours to make something that other people can spend 30 minutes on. But the designs like these are pretty quick even for me. For the first card I cut a panel from a green cardstock and stamped images from Botanical Garden set using Dark Chocolate and Evergreen inks creating some sort of floral frame . 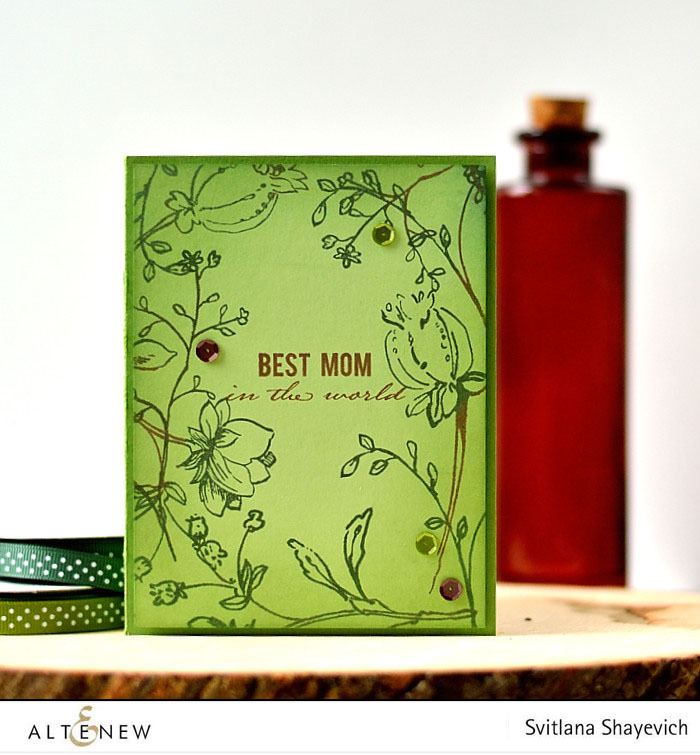 Next I stamped a sentiment from the same set using Dark Chocolate ink. Inked the edges of the panel using Forest Glades ink and adhered it to a green card base using dimensional adhesive. Finally added several sequins to finish the card. The next one is even simpler. 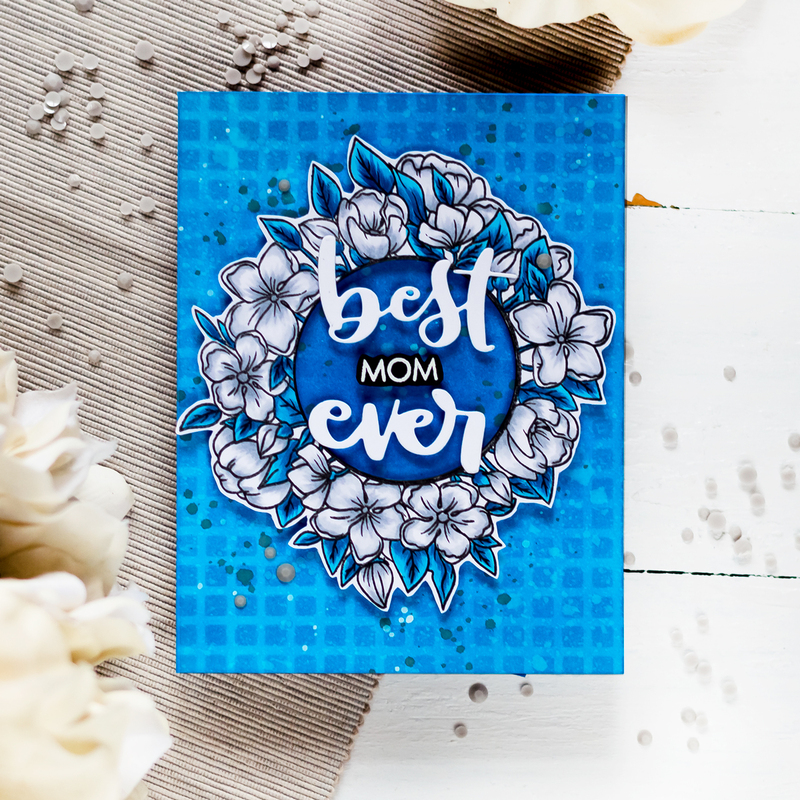 I clear embossed the flower and sentiment from Beautiful Lady set on a watercolor paper panel. 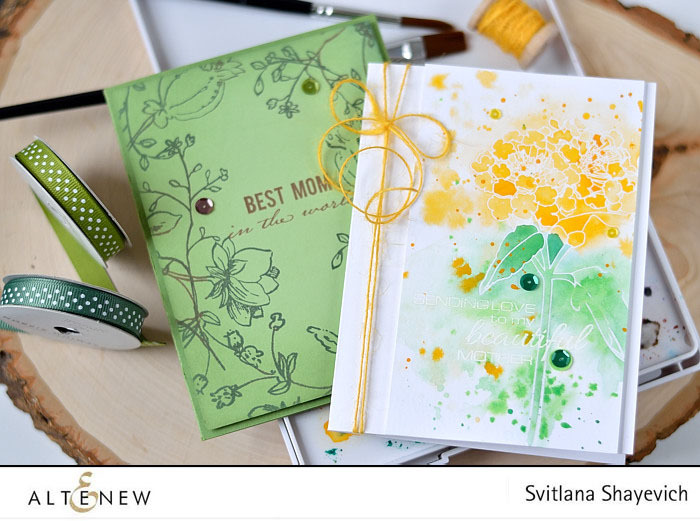 Next added simple watercolor washes in yellow and green along with some droplets of the same colors. Adhered the panel to a card base using dimensional adhesive, added some sequins and tied a yellow twine. It was so simple and quick to make but I really love the result. 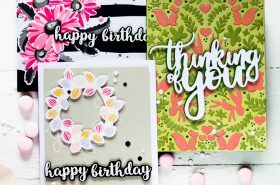 These cards are going to my “just in case” stash as this year I already sent cards to my mummy in Ukraine and the one for my mother-in-law is also is made and sign. How about you? 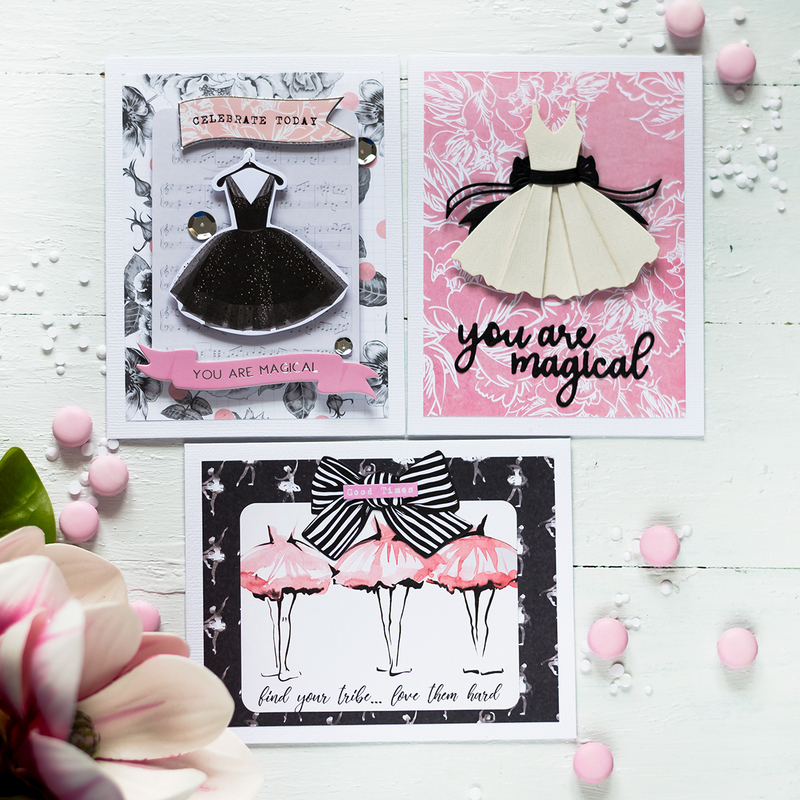 Have you made cards for important women in your life? Какие они классные. Зеленая мой фаворит. Очень не банально. 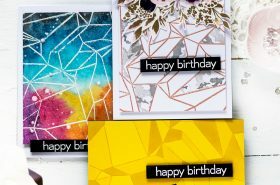 Wow your cards are so beautiful and inspiring!